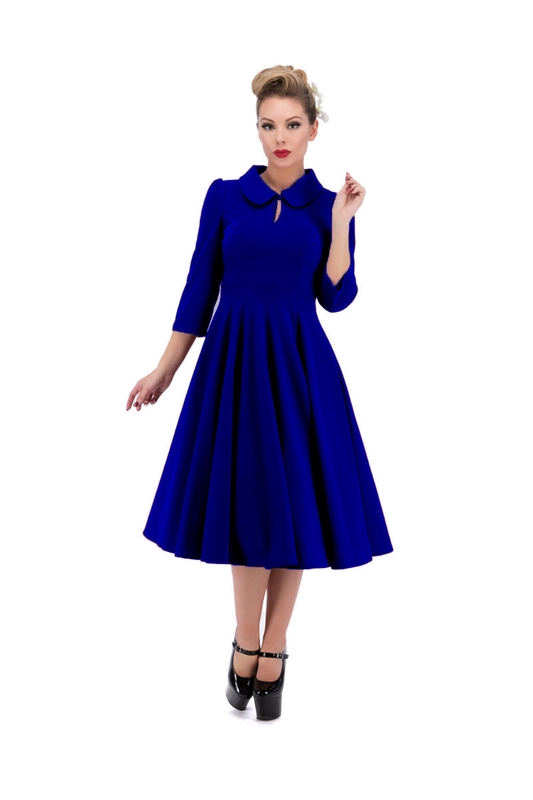 Glamorous Velvet Tea Dress In Blue:â My Dear, Are You Looking For Something Warm And Long Sleeve? The Glamorous Tea Dress Is Just Perfect! Cover Up Those Chilled Arms With The Glamorous Tea Dress From H&R London. Beautiful 3/4 Sleeved Swing Dress Made Out Of A Soft, Stretchy Fabric. The Dress Has A Peter Pan Neckline, Creating A Cute Keyhole With The Option To Close-up With Buttons. Dress Ends Just Below The Knee And Has An Invisible Zip At The Side For A Comfortable Fit.